I created these short videos to help you with crocheting Graphs! The first set is for Half Double Crochet c2c graph squares like I have shared in the Harry Potter and Minecraft Crochet a Longs. You can also use this method when making large graphs into afghans using the Double Crochet C2C method like I did in this Gamer Afghan. 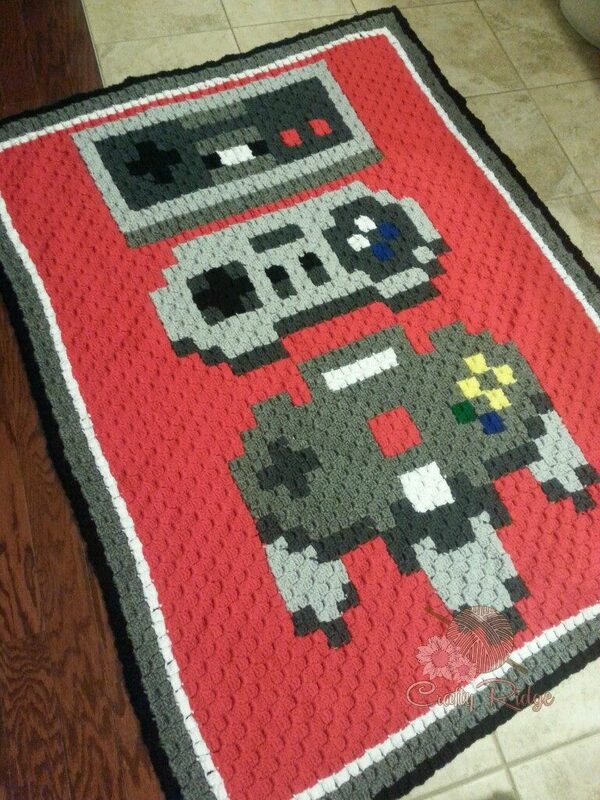 Gamer afghan pattern by Crafty Ridge is available by following the tab at the top of the page labeled Paid Patterns. Beginning and Increasing in c2c! How to add colors in c2c! Changing colors using bobbins in c2c! Hi, what stitch do you use to sew them all together in the end? I use a whip stitch to sew my squares together. Do you have a video showing how to put all the squares together? No I never did a video of that. There are a ton of videos on whipstitch on YouTube. I enjoy Moogly. Hope this helps!